Auto accidents could happen at any time and anywhere. The effects can be very severe, from serious injuries, long-lasting bodily scars, and trauma. Sometimes it leads to the death of the victims. Legally, you have the right to be compensated for an auto accident if you are lucky to live. However, this might depend on how fast you get an auto accident attorney and the reliability of his/her service. You can hire an experienced auto accident attorney in Riverside, CA if you contact us at Rawa Law Group. We are a renowned legal firm with more than 55 years of legal experience in the business of auto accident cases. At Rawa Law Group, we have some of the top personal injury lawyers in Riverside, CA and our lawyers work hard to ensure that we have personalized representation and give you the needed attention by either meeting you at your house or at the hospital. When you reach out to us, we offer free case evaluation and will only get paid after we must have won your case. We also help you to maximize your accident claim settlement as most of our clients have been settled with hundreds of millions of dollars in the past. 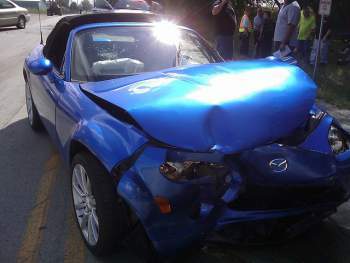 Car accidents are, unfortunately, all too common in California and on the rise. According to the National Highway Traffic Safety Administration, there are more than 39,000 people are fatally wounded in traffic accidents and more than 1.7 million injured across the country in car accidents. In California, traffic fatalities have increased by 13% in recent years after a dramatic 36% decline between 2006 and 2010. Across the state, more than 3,000 people are killed every year. Most troubling, officials have found that more Californians are now using smartphones to talk and text while driving than two years ago. Motorcycle accidents, pedestrian accidents, and drugged-driving accidents are also on the rise. If you or someone you love has been injured in a car accident, a car accident attorney in Riverside can help you protect your rights and seek the compensation you deserve. We also provide other personal injury cases just click the link for more information. Do not speak to the insurance company after your accident until you speak with an experienced personal injury lawyer in Riverside. Insurance adjusters work for the insurance company and their job is to pay out as little money as possible. Insurance adjusters use many tactics to reduce payouts and anything you say can be used against you to limit or eliminate your payout. A car accident lawyer will work on your behalf to gather evidence, build your case, and negotiate with the insurance company to reach a fair settlement. Car accidents occur in many ways, including two-car collisions and single-car accidents. In many cases, the accident is the result of improper driving, including speeding or distracted driving, but sometimes auto accidents in California are the result of vehicle malfunction or even a medical emergency. Car accidents can cause very serious injuries, even if you do not seem injured at the time. Car accidents may lead to vision or hearing problems, traumatic brain injuries, chest injuries, pelvic injuries, internal organ damage, foot and leg damage, and whiplash injuries. Whiplash, in particular, can be a hidden injury that may not cause symptoms for hours or even days after the accident. This is why it’s very important to seek medical attention immediately. A physician can diagnose any injuries you have as a result of the accident and document them to substantiate your claim and prove a link between your injuries and the auto accident. In California, a driver found to be reckless or negligent in an accident is liable to pay compensation for medical expenses, lost income, pain and suffering, reduced earning capacity, and other losses. All California drivers are required to carry liability insurance, but the limits are often too low to cover all damages. California does not have “no-fault” car insurance, which means compensation is paid solely from the insurance policy of the party at fault. If you or someone you love has been involved in a car accident in Riverside, it is very important to seek legal counsel as soon as possible to build a strong case. You may be entitled to compensation for your injuries. Contact an experienced Riverside car accident injury lawyer at Rawa Law Group today for a free consultation to discuss your case. Learn about all of our services that we provide to the Riverside California area, click the link to learn about them.